Heyo! What's up for review today? 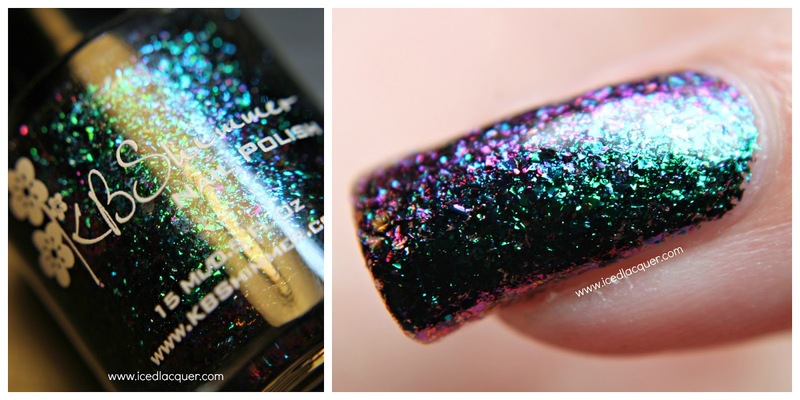 Well that would be three shades from the flake portion of the upcoming KBShimmer Summer 2015 Collection! "Sterling Example" - A clear base filled with large silver flakes. 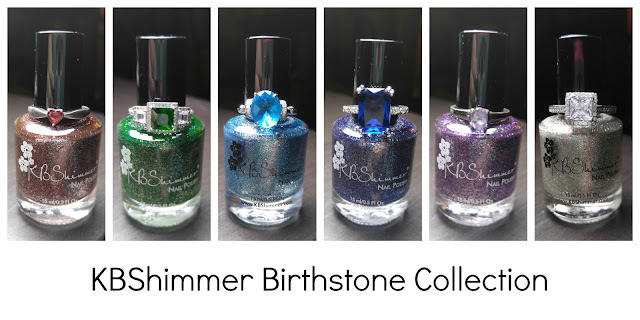 KBShimmer is releasing four silver flake polishes and this one contains the largest flakes of the four. My photos show two coats plus KBShimmer "Clearly on Top" top coat, which I used for all of these swatches. 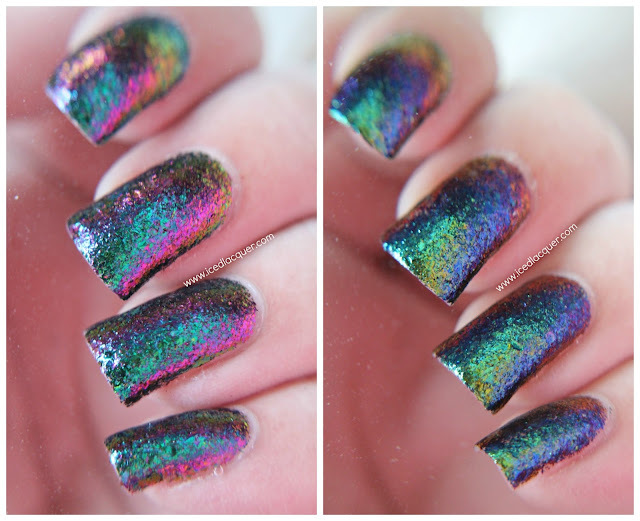 "Look on the Nightside" - A clear base filled with multichrome flakes that shift primarily between teal and purple. At certain angles you can also see green and magenta as well. My photos show two coats plus top coat. "She's Beyond Kelp!" 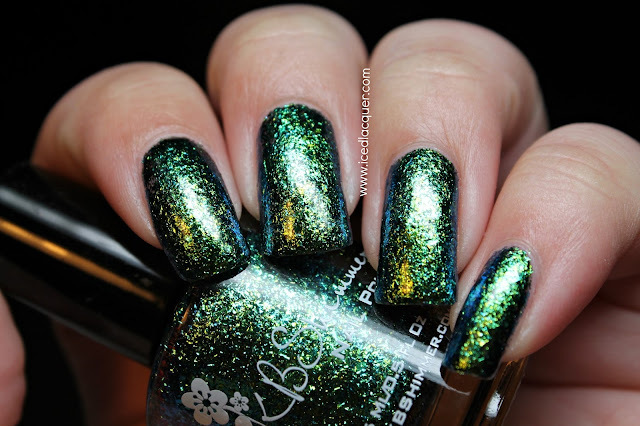 - A clear base filled with multichrome flakes that shift between green, teal, and blue. At more extreme angles it also shows hints of purple and some orange. 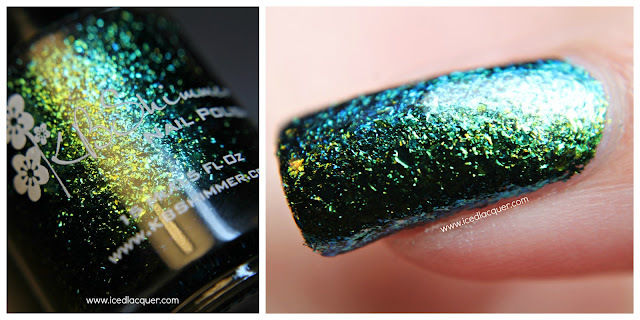 I was impressed because this one was almost a one-coater, but my photos show two coats plus top coat. My opinion: I've reviewed both silver flakes and multichrome flakes from several brands now so what I really want to mention is the formula. 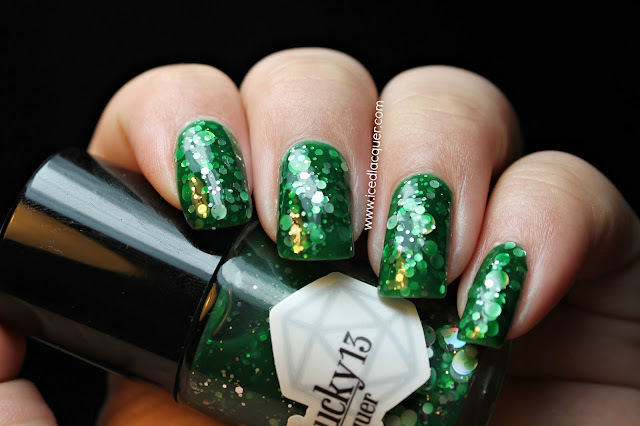 If you want a full coverage look from your flakes, these two from KBShimmer are the best I've used so far. The base is absolutely packed which makes application easy and smooth. ILNP "Supernova" has almost the same shift as "Look on the Nightside" but required five coats instead of the easy two that I used here. I have also tried a couple of silver flake polishes in the past, but I can't say I've tried any with flakes quite as large as the ones in "Sterling Example" which totally makes it unique in my opinion. I've seen a few other bloggers layer one coat over a creme color, giving a totally different look that stands out because of the large flakes. 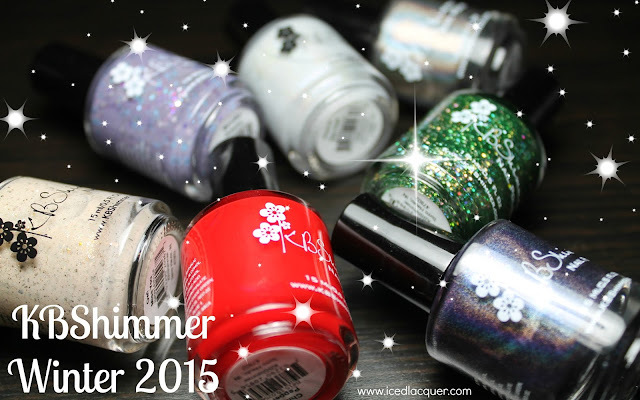 Make sure you check back tomorrow as I'll have my next piece of review up for the KBShimmer Summer 2015 Collection. What's up tomorrow? 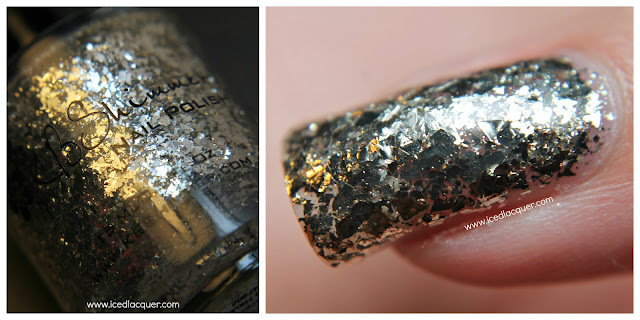 The glitters and holographic! You made these look incredible! I love those underwater shots. Being able to see the full shift is really awesome.